For parents of infants, getting a full night of sleep can be a nearly impossible task. Despite several tips and soothing methods, newborns and their parents are left with many sleepless nights and exhausted mornings. Now, new research from Michigan State University found that infants that don’t get enough physical activity could also be sleeping less. These babies could also be at a greater risk for developing obesity if they’re too sedentary. The researchers monitored 22 six-month old infants over the course of 24 hours and evaluated their length, weight, physical activity, and sleeping patterns. Hauck and her team found that the babies who had the least amount of sleep over the course of the 24 hours weren’t moving as much during the day and were also getting fed more overnight. Moreover, they found that babies had a better length to weight ratio when they slept for 12 or more hours during the day. The team found that napping proved to have no effect on nighttime sleep. Babies that slept more during the day were still not getting enough sleep overnight. 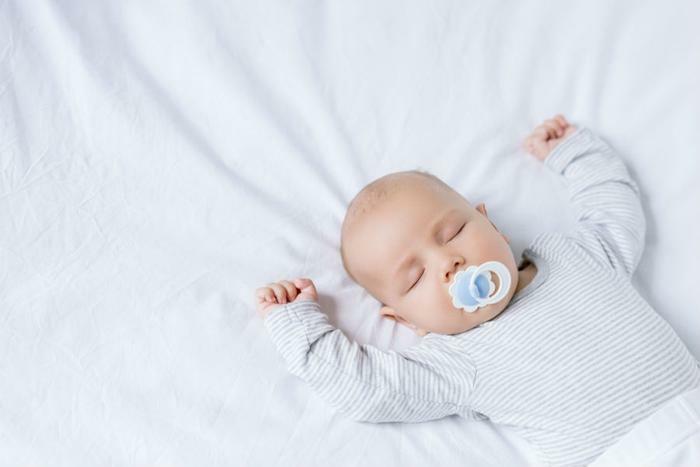 Speaking of tummy time, Hauck and the researchers say that ensuring infants are more active during the day can instill better sleeping habits. Ensuring infants sleep through the night is hardly ever easy, and many parents struggle figure out exactly which changes they should make to promote better sleep. In a previous study, researchers found that letting babies “cry it out” during sleep training may not be as harmful as many had previously thought. The study found that parents that sleep trained their babies -- regardless of the method they chose -- allowed them to fall asleep faster and wake up less during the night.